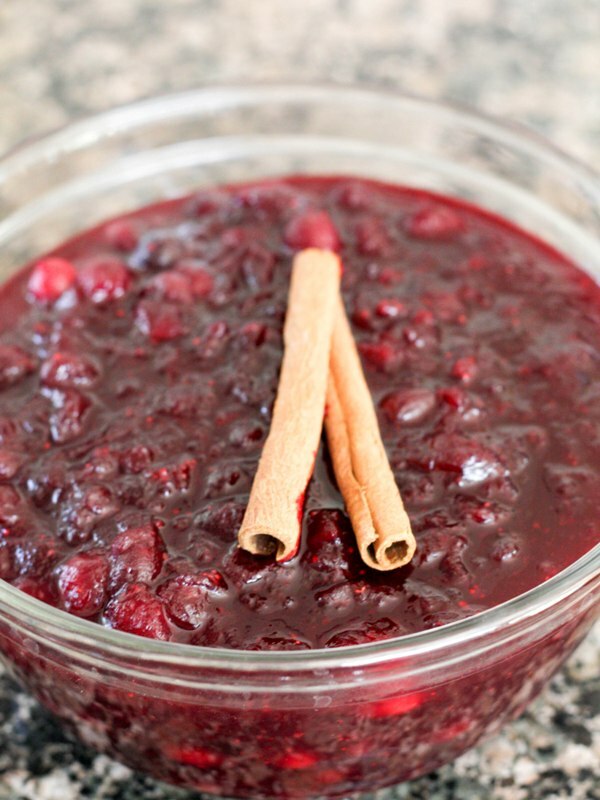 I used to hate cranberry sauce as a kid because all I knew was the canned gelatin sauce. Blech! 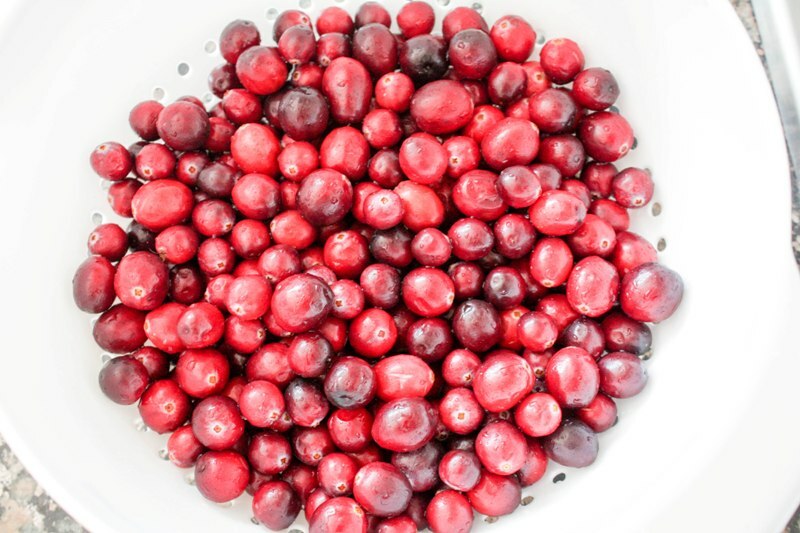 I decided to try my hand at making a REAL cranberry sauce, and over the years have tried a few different recipes. 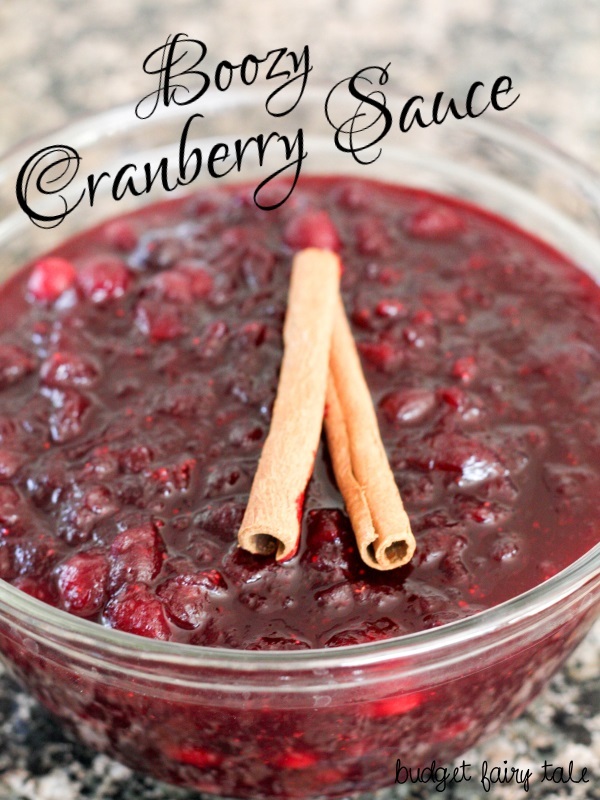 Based on what I knew about making cranberry sauce, I whipped this concoction togather for the first time last month, and it was a big hit with my family for Thanksgiving! 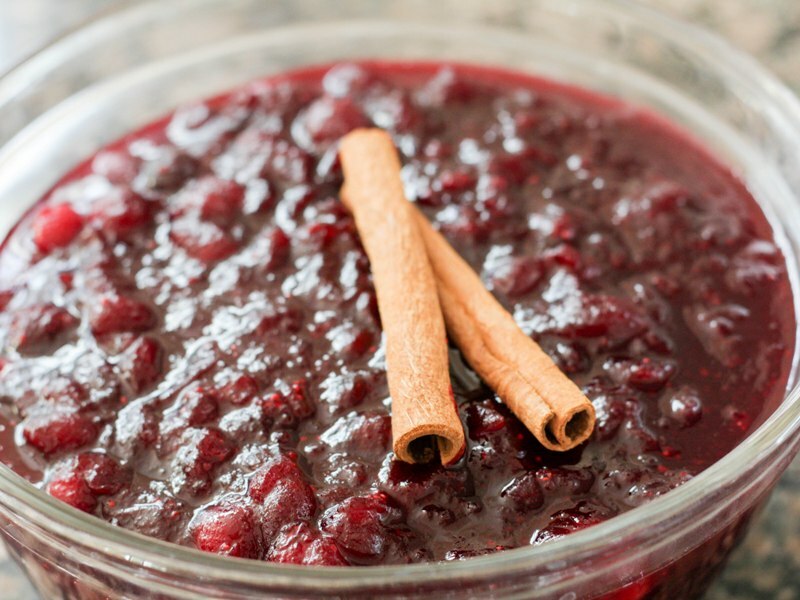 It would also be a great side dish for Christmas, and it’s pretty simple to make. My secret ingredient is the Cabernet Sauvignon. It makes the flavor a little more robust and interesting, I think! But if wine isn’t your thing (*gasp*), just replace it with equal parts water or orange juice. The cinnamon sticks add a lot of flavor as well, so leave those in until you’re ready to serve the dish! 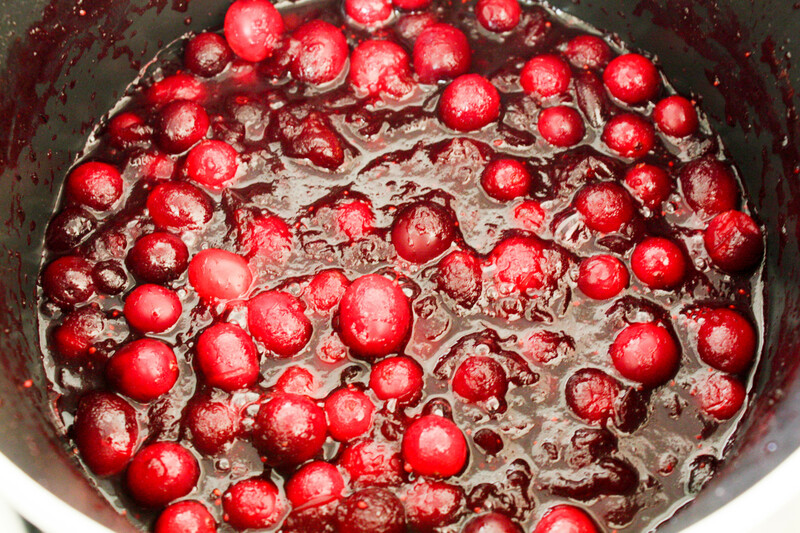 In a sauce pan over medium heat, mix the sugar, OJ, and Cabernet until sugar is melted and mixture is simmering. 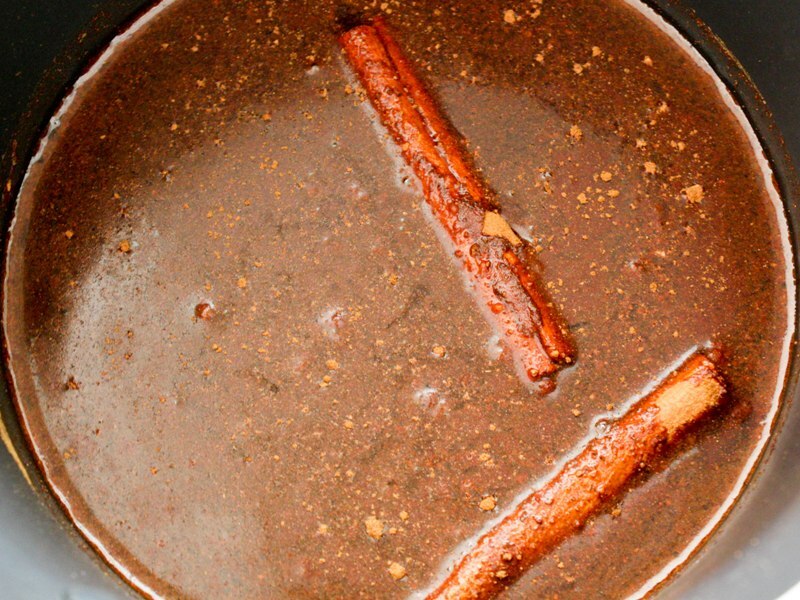 Add the spices, salt, and cinnamon sticks and let simmer a couple minutes. Add the cranberries (minus one cup; set aside for later) and the orange zest and mix well. Heat for 10-20 minutes, stirring occasionally, until the majority of the berries have burst. Add the remaining cup of berries and cook for another five minutes or so. Remove from heat. Add 1/2 cup of cold water and mix well. Let the sauce sit for about 10 minutes; it will thicken. Remove the cinnamon sticks before serving. You can serve it warm, or chill it in the refrigerator before serving. I prefer it warm, but my family liked it cold! Yummmmm! 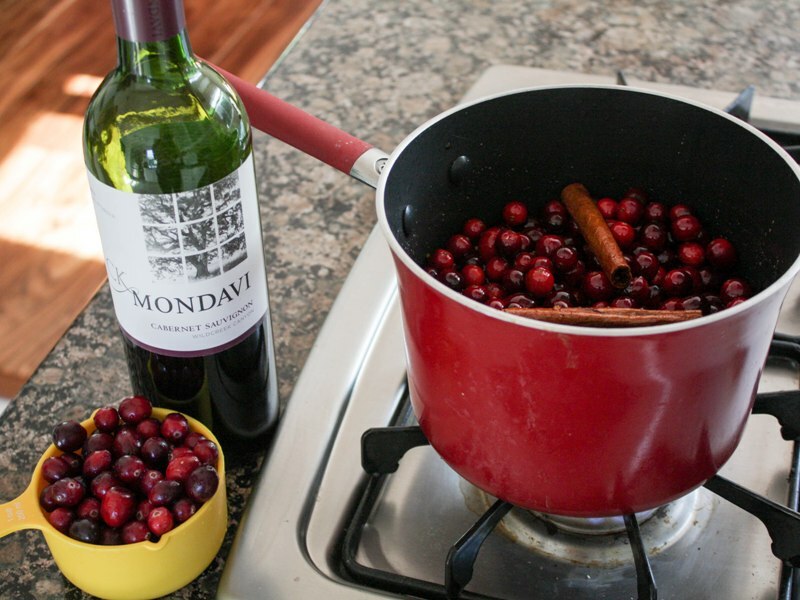 I hope you enjoy this wine-tastic winter dish!